Katie LaVerne Grannis passed away December 3, 2008, in Carlsbad, California, with her husband of sixty-nine years, Leroy (Granny) Grannis, and her family by her side. Katie was born on September 23, 1919, in Salt Lake City, Utah, to Iva Perkins and Edward A. Tracy. She had a sister Bette Tracy Finlayson, as well as a half-brother Ted Sizemore and a half-sister Ruth Sizemore Goodcell. The family moved to Southern California in 1923, and Katie grew up in Huntington Park, graduating from Huntington Park High School in 1938. In 1939, she married Leroy Frank Grannis. They had four children, Katie (Kit) Padilla, Frank Grannis, Nancy Grannis-Wiig, and John Grannis. They lived in Manhattan Beach, Redondo Beach, and Hermosa Beach, until retiring to Carlsbad in 1978. From the early 1960's to the early 2000's, Katie and Granny travelled extensively nationally and internationally to photograph surfing and hang-gliding events, as well as to visit friends and family. Katie loved animals and children, and was very loyal to all of her old-time friends. She was a loving, devoted wife, mother, sister, and friend, loved and respected by everyone who knew her. She is survived by her husband, four children, six grandchildren, three great-grandchildren, and one great-great-granddaughter, as well as her sister Bette and numerous relatives and friends. A private Burial was held on December 9th, in Redondo Beach. A Celebration of her life will be held on Sunday, December 28th, from 1 - 3 p.m., at the Harding Community Center auditorium, 3096 Harding Street, Carlsbad, CA. Beach volleyball, or sand volleyball, is an Olympic team sport played on sand. Like other variations of volleyball, two teams, separated by a high net, try to score points against the other by grounding a ball on the other team’s court. Competitive beach volleyball teams usually consist of two players, though recreational variations can contain up to six players. Though popularized in Southern California, the first recorded beach volleyball games took place on the beaches of Waikiki in Honolulu, Hawai’i at the Outrigger Canoe Club. Originally designed to give bored surfers something to do when the surf was down, the game quickly developed into more organized six-man matches. 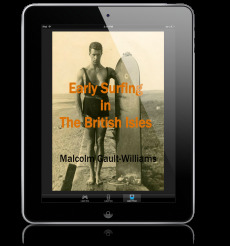 The most famous early player was legendary waterman, Duke Kahanamoku. Despite its increased popularity in the 80’s and 90’s, American beach volleyball suffered setbacks. In early 1998, the American women’s professional tour - the WPVA - closed its doors and filed for bankruptcy. Later that same year, the American professional men’s tour - the AVP - also filed for bankruptcy, plagued by problems as a player-run organization. 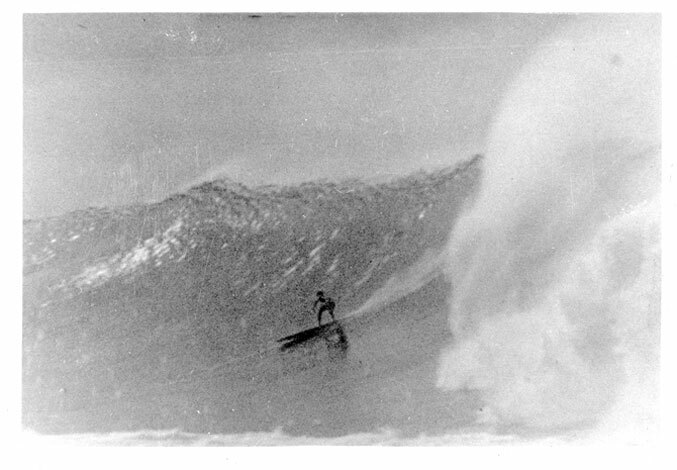 At last, we have photographic evidence that there were surfboards in Southern California before George Freeth's arrival, from Hawaii, in 1907. "I did some brief research using as my primary source the softback book by Jeffrey Stanton -- SANTA MONICA PIER, A HISTORY FROM 1875 TO 1990 -- also Fred Basten's SANTA MONICA BAY and some of my photo collection and input from my 88yr old mom who was head of costume and of wardrobe for ABC and film. 1. THE FIRST LARGE PIER BUILT BY RAILROAD OWNERS [in Santa Monica] IS THE L.A.AND INDEPENDENCE WHARF-BUILT IN 1875 AND CONDEMNED IN 1879. 2. THE PIER IN QUESTION IS CALLED THE NORTH BEACH PIER, NOT THE S.M. PIER - BUILT IN 1898 NORTH OF WHERE THE L.A. PIER WAS - AND PARTIALLY DESTROYED (AS WAS THE WOODEN SLATTED BOARDWALK) BY A STORM IN 1905. THE MUNICIPAL AND LOOFF PIERS WERE BUILT NEXT TO EACH OTHER IN 1908 AND BECAME ONE - THE SANTA MONICA PIER - THE CITY BUILT THE MUNICIPAL PIER TO CARRY SEWER OUTFALL. 3. THE BEACH DRESS IN THE 1890'S TO 1900+ WAS SUCH THAT MEN'S WOOLEN SUITS HAD 1/2 SLEEVES AND WOMEN WORE FULL DRESS OUTFITS WITH LEG COVERINGS -- NOT UNTIL AFTER 1900 DO YOU SEE MEN AND KIDS IN WOOLEN TANK TOPS LIKE THE ONE IN TSJ PIC. WOMENS EVERY DAY DRESS WAS MORE FRILLY, BUSSELED AND HEAVY MATERIAL IN THE 1890'S. Also helping in the detective work on this was: Ben Marcus, Gary Lynch, Arthur C. Verge and Joe Tabler.